This Cd has hooky melodies and diverse styles that intermingle with funk , pop, rock, jazz, Latin and rhythm and blues . A guitarist and saxophonist playing in unison with a tight rhythm section, freely expressing themselves creatively. The words that best describes what you will hear when you play this CD are hooky melodies and diverse styles that intermingle with Funk, Jazz, Pop, Rock, Latin, and Rhythm and Blues. 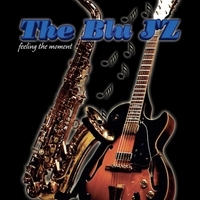 The arrangement of each song will display the guitarist and saxophonist playing in unison . Just as important is the rhythm section, in which creativity is freely expressed and contributes to the creation of the bands unique fresh sound . What originally started from a dream, comes hooky melodies that will grab your attention into a musical expression. Cool To The Ear !! Very Nice, Mellow yet Funky, Smooth Band , and recording.!!! Got this in a CD format ??? I never have any use for that Damned MP3 Stuff. What a Waste. CD Please Only.!! !